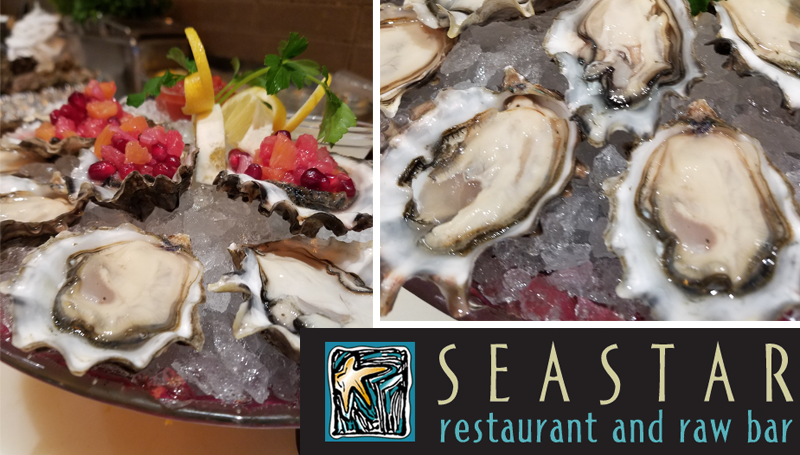 It’s always oyster season at Seastar Restaurant And Raw Bar in Bellevue, WA. You don’t have to wait for the months with an `R’ in them (September to April) because the summer break in wild oyster harvesting to let them spawn doesn’t apply to commercially raised oysters that are strictly regulated for both safety and sustainability all year round. Enjoy these fresh, firm and tasty bivalves without guilt at Bellevue’s premier seafood hotspot, where 1,500-2,000 oysters are served every week to connoisseurs and beginners by Seastar’s Raw Bar Chef, David Putaportiwon, who is happy to help you select a flavor profile, depending on where you’re at on your oyster journey. With the oyster selection made so easy, the next step of the Seastar seafood dining experience is choosing the right wine to pair with it. 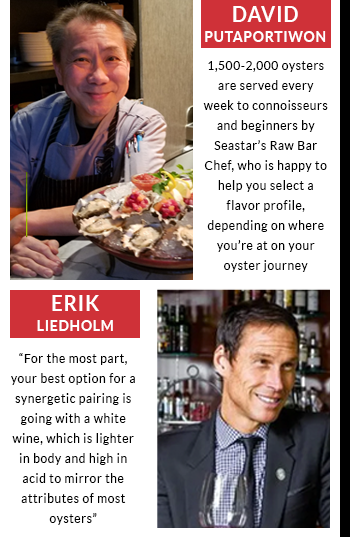 We spoke to Erik Liedholm, award-winning sommelier and Wine Director at Seastar, to get some expert insights on this, and he pared your choices down to just two suggestions to make this one easy too. For example, you may want to forgo a big red wine because of its inherent weight and texture that can overwhelm the oyster and throw it out of balance — unless of course, the oyster has a really strong flavor to complement it. For the most part, your best option for a synergetic pairing is going with a white wine, which is lighter in body and high in acid to mirror the attributes of most oysters. The traditional pairing for oysters, of course, is a wine from the Loire Valley in France called a Muscadet. “Muscadet is produced in an area, right at the mouth of the Atlantic Ocean where most of the oysters in France are harvested from,” says Liedholm. “So there’s a synergy there right away.” The Muscadet wine is very light in body, with Atlantic climate influences that give them a saline, marine quality and some of the same minerality as the plump, meaty, briny oysters that are also native there. So there you have it. A resolution of your wine-and-oyster pairing dilemma with two wine suggestions you cannot go wrong with. Call Seastar Restaurant And Raw Bar at 425-456-0010 to make a reservation today!